“Sanuki Mannou Taiko” is the Japanese taiko drum group, which is based in Mannou-cho kagawa. 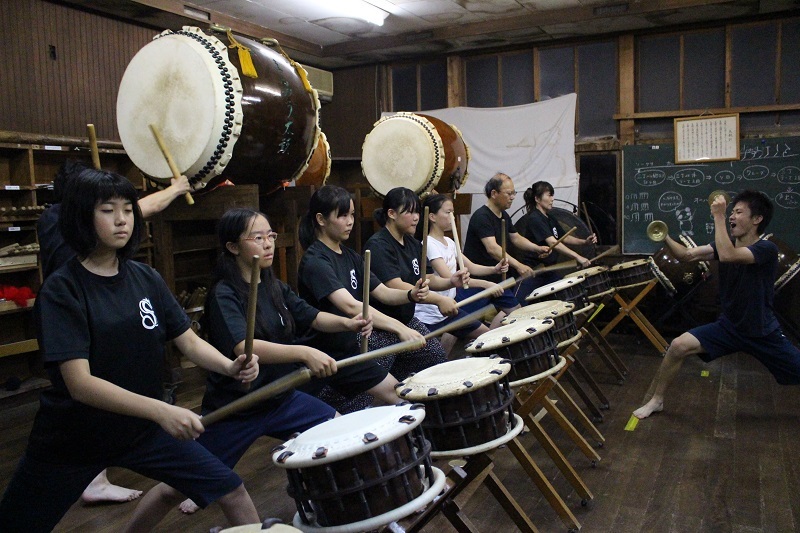 The Taiko group was established by a local youth group in October 1986 and officially become preservation association in the following year 1987. They have practice twice a week, every Tuesday and Friday. A variety of people from young to old gather together and practice hard. Elementary school students class practice is between 7:30PM to 8:30PM. 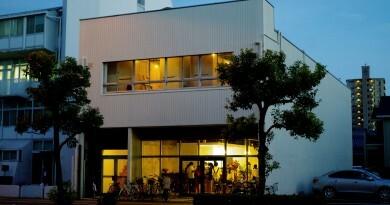 Junior high school students and Adults practice is between 8:30PM to 10:00PM. 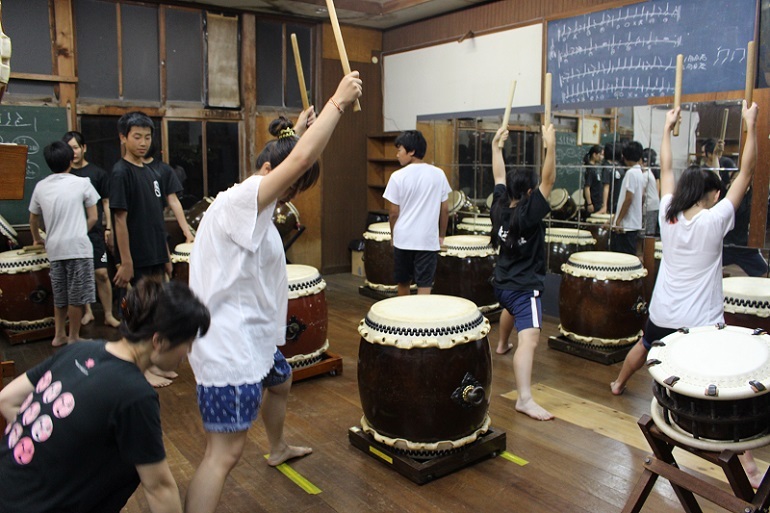 We went to see the Mannou Taiko drum practice with Shizuka who is an exchange student from Taiwan. We’ve arrived at the local community center a little after 8:00PM, where is they practice, we heard the taiko sound coming from inside and Kogame-san welcomed us. The Taiko that Kogame-san is playing in the image is about 106.5cm wide. It is the biggest Taiko that preservation association owns. 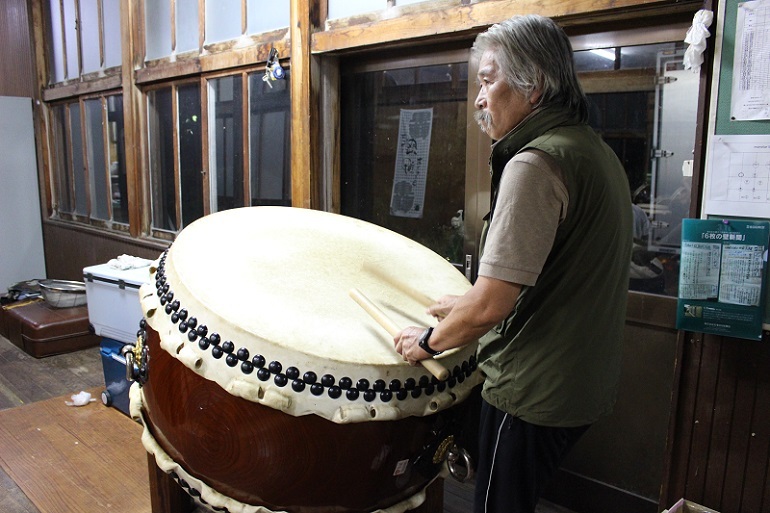 Kogame-san is the one of the founding members of Sanuki Mannou Taiko drum association and he composes most of the songs played by the group. He still supports the team by coaching the practice even after he retired from the seat as preservation association chairman.He also works as a volunteer interpreter in Mannou-cho. He explained about the Mannou drum preservation association to us in fluent Englsih. 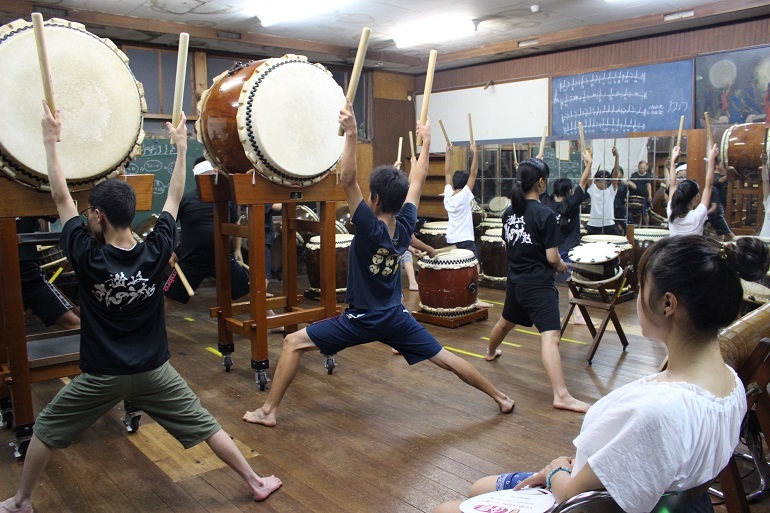 The size of the Bachi (drumsticks) and the Taiko are determined by the player’s body size. We had a chance to see the elementary school student’s practice. Even though they are children, their drumming was really strong and their posture while playing the drums looked so professional. The junior high school students and adults practice started after 8:30PM. 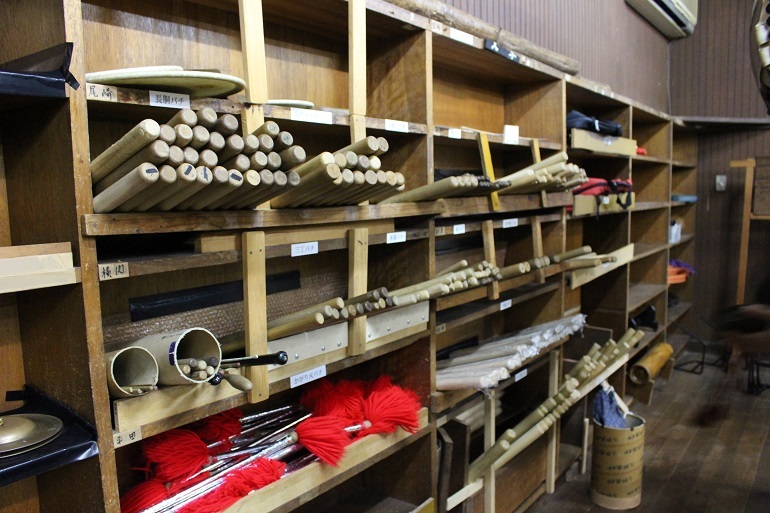 Right now, the preservation association owns three 60.6 cm sized Taiko, one 78.78cm sized Taiko and one 106.5cm sized Taiko. 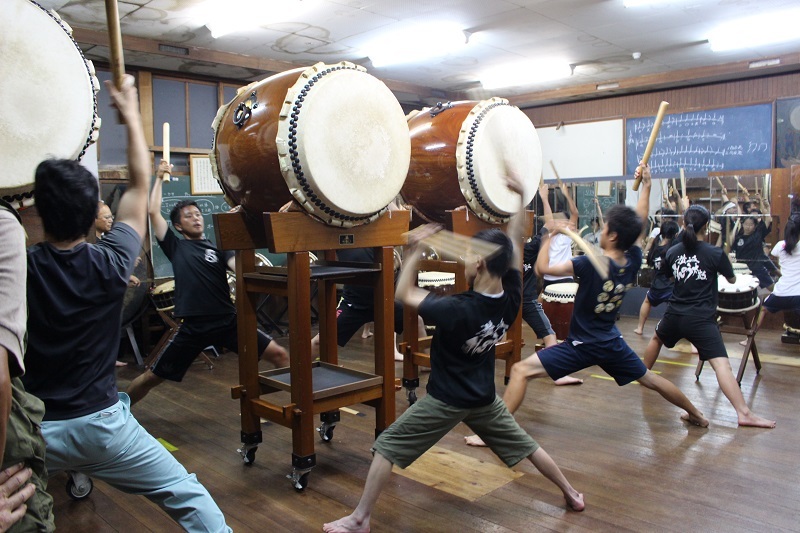 The sound of the Taiko became so much more powerful with each subsequent larger Taiko. 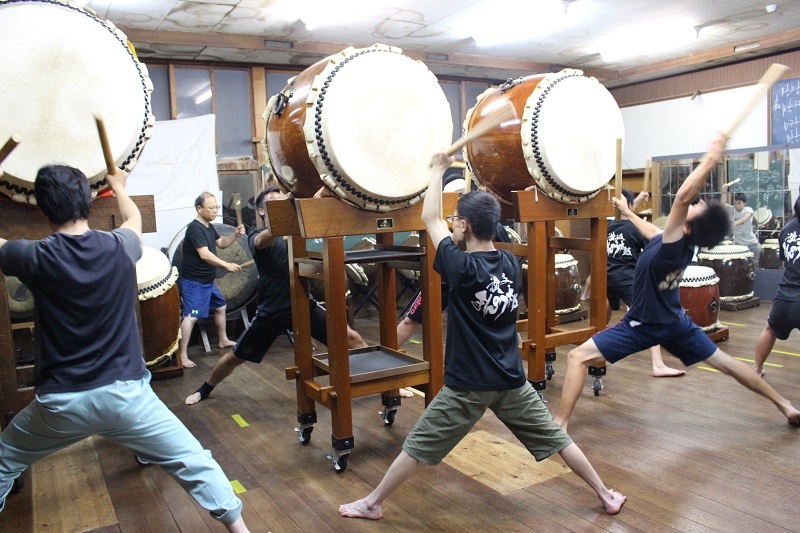 The powerful sound of the beats echoing all through the room.Every time they hit the Taiko, the vibration enters in both of the ears, even to the eardrums. you can’t experience this in any other place for sure. They Turn and roll their body widely while not hitting the Taiko to keep up the rhythm. During the session when Shizuka joined in, she was lectured about the proper position of her foot and how she should stand while playing. Shizuka tried to follow the group. Trying to keep up with the beats, her face became so serious. She told us later that she became so serious from extreme pressure. After a while, she got a little used to the vibe. Her smile came back to her face again. The room was equipped with an air conditioner but the heat of the practice made everyone soaking wet from sweat. Outstanding beauty is added to the powerful performance. The song expresses the way petals of the Karin flower flutter down. 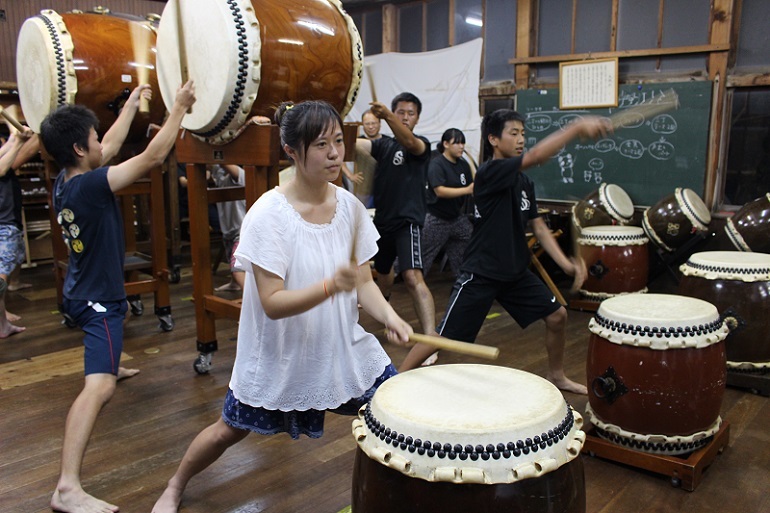 One person uses three Taiko drums. The soft and smooth motion of swaying right and left is very feminine. The appearance of the players getting into line and hitting the taiko were a true masterpiece. After seeing a great performance like this, it’s easy to understand they practiced over a considerable period of time. A picture of the team.Everyone’s face was so serious during the practice but their faces were filled with relief and smiles after the song. 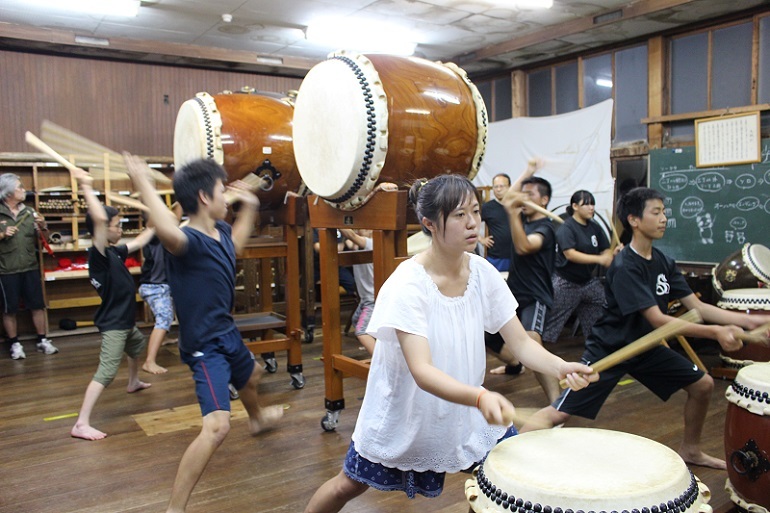 If you contact Kagawa-san who is the chairman of the association in advance, you may be able to see the practice and have an English tour by Kogame-san.By all means, we welcome you to experience the powerful performance of the great Mannnou Taiko drums. I am 江妍靜 from Taiwan and am staying in Kagawa Prefecture to learn Japanese culture. 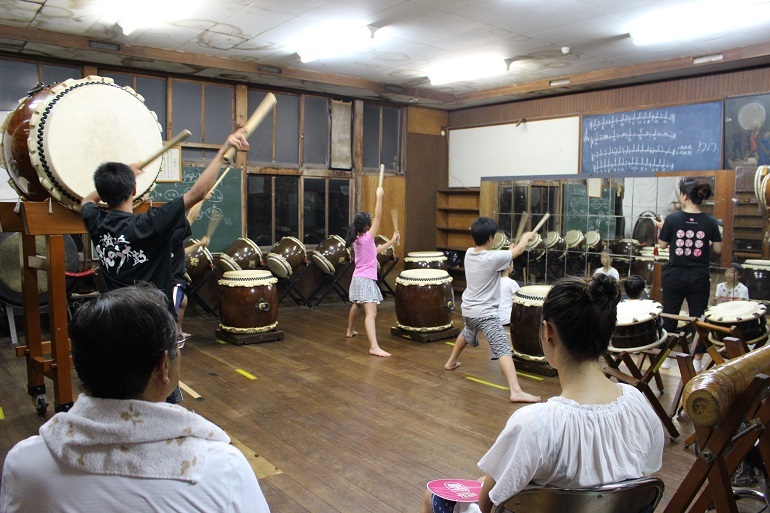 Memoir: My host father and host sister took me to experience the Manno Taiko drum in Mannno-cho. I get so excited after hearing that I was going to play the Japanese drum as well.I have been admiring the Japanese Taiko since I saw their performance once. 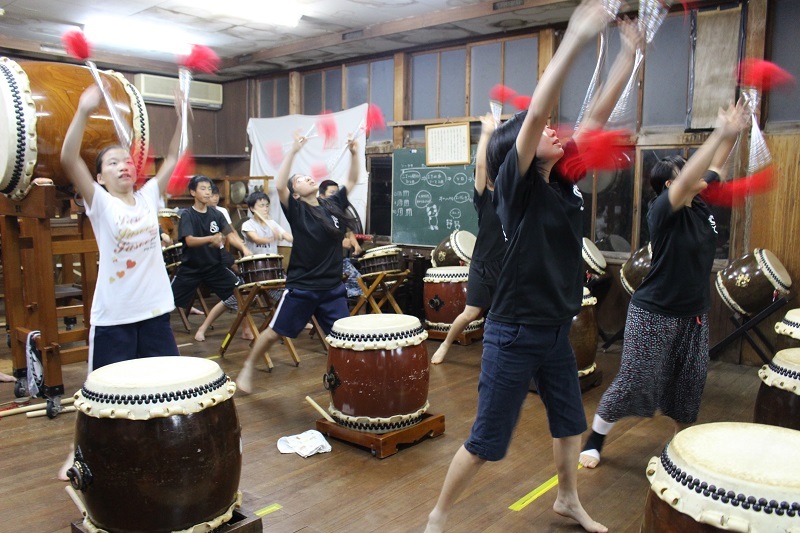 Japanese Taiko is sacred and strict, they surely have a power to move people’s hearts.I have never imagined joining the Taiko practice. I understand the Taiko spirit through this opportunity. We could hear the sound of the drums as soon as we got out the car. 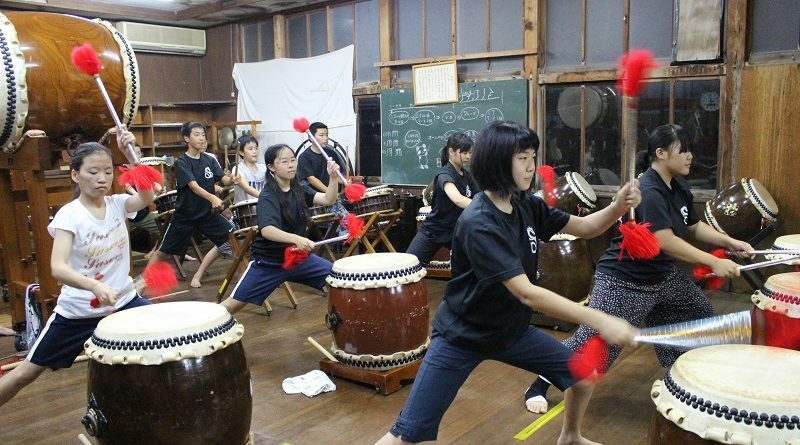 I was pretty nervous because this was the first time I have joined a Taiko practice and had no idea how to play.When I opened the door and enter the room, Kids was playing Taiko following after their Sensei. Their shouting and the sound of Taiko was not to be outmatched by adults. Even though they are still children, their posture was professional and I became so nervous thinking like I might have came to the wrong place.But the Sensei and students gave me a warm welcome and I slowly got relaxed. While staying next to them listening to the sound of the Taiko, the moment when they hit the Taiko sent a huge vibration that I thought could possibly stop my heart. I was deeply impressed from the bottom of my heart by their smooth motion and their stirring cries in unison, and the way they deeply enjoy playing Taiko. 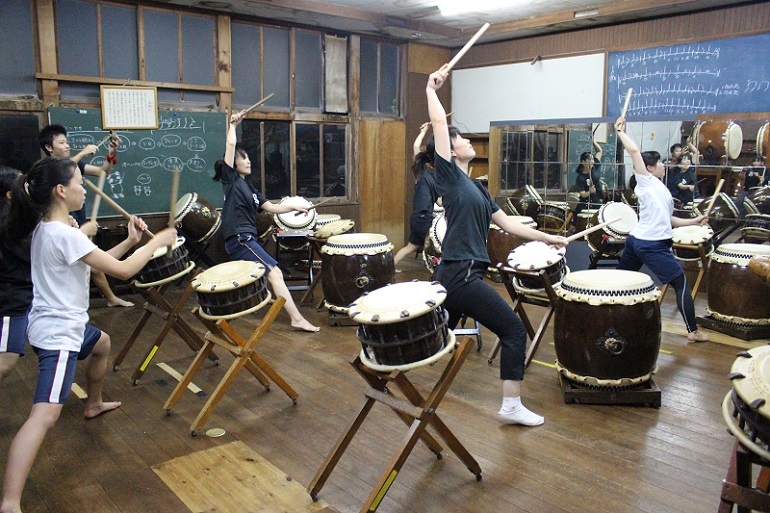 It was the fusion of their inner soul and Taiko. Sensei coach me how to play Taiko during the break time. I was trying to imitate two other girls who were playing. 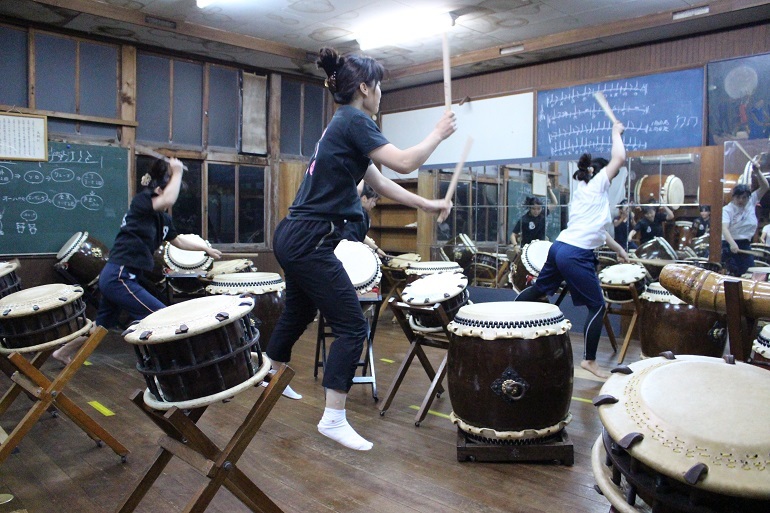 Standing in front of the mirror and looking at those girl’s motion and pose, The way I moved clearly looked like a Taiko beginner. But this is such a rare opportunity and I need to try harder…When the break time was over, Sensei told to me to play a song along with the other students. I made eye contact with my host father and host sister for them to rescue me, but the host father was just smiling without any worry and the sister was holding the camera and getting ready to take some photos.There was no point in begging help, now I have to just do it. At first, I was stunned and just stood there because I couldn’t follow the rhythm and the motion at all. Then, I tried to get a hold of myself, carefully watching the others move, slowly understanding the rhythm and it felt like my heart and everyone’s heart became one. It was a special feeling that the words cannot describe. 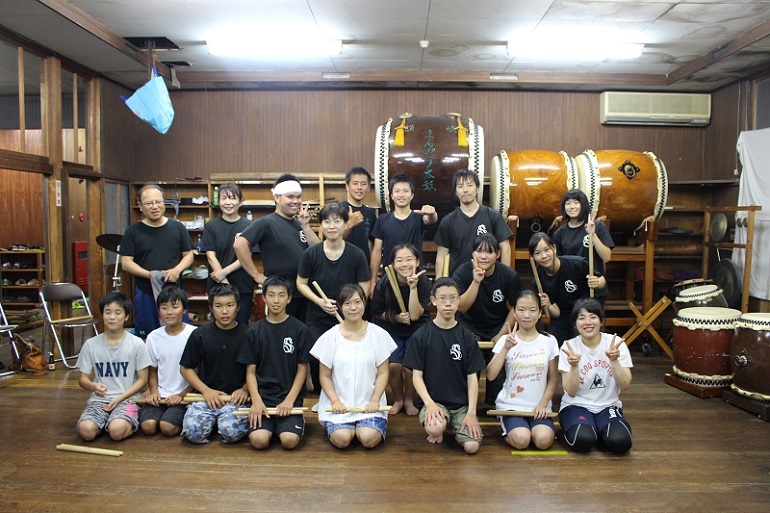 After this experience, I am confident that I know the spirit of Japanese Taiko now. 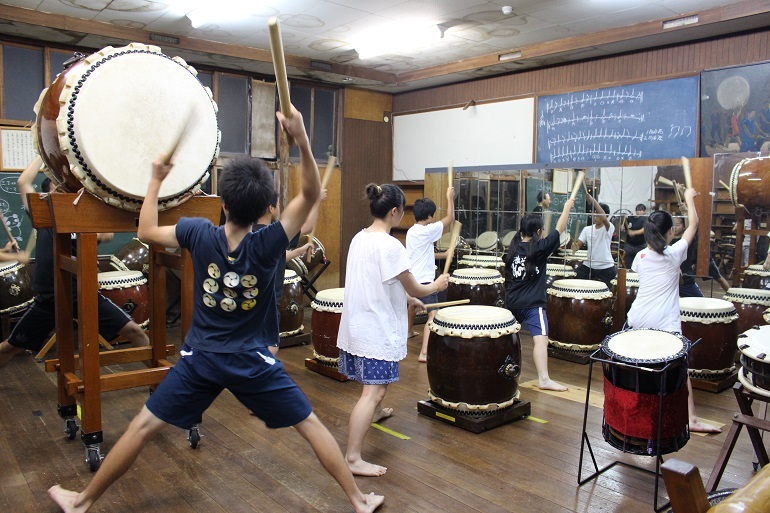 What was needed is not a perfect performance, it was the connection between the soul and Taiko drum. Connecting with each other through the spirit and uniting with everyone without any language. It was such a wonderful experience. 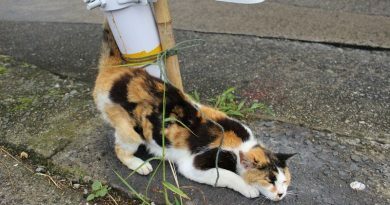 14 minutes walk from Fukehigashi bus stop by Kotosan Bus. You can catch the bus from either Kotoden Kotohira Station or JR Kotohira station.